Product prices and availability are accurate as of 2019-04-15 12:31:47 UTC and are subject to change. Any price and availability information displayed on http://www.amazon.com/ at the time of purchase will apply to the purchase of this product. Pond Shield is a non-toxic epoxy liner, made in the U.S.A designed for the pond and water feature industry. 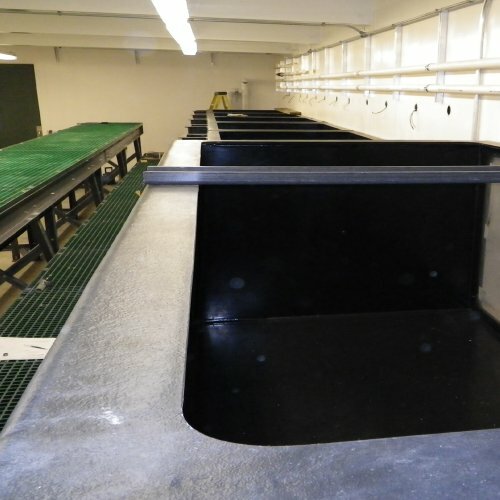 It is used to construct water features or ponds with a more designer, formal or natural look than rubber liners. 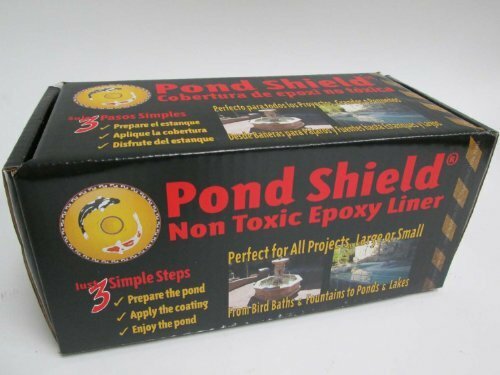 Using Pond Shield epoxy means no more unsightly folds or creases. In addition, unlike rubber liners, there are eight Standard colors available - Black, Clear, Competition Blue, Sky Blue, White, Gray, Tan and Forest Green and Designer Accent Colors are available in three colors - Gold, Copper and Silver. 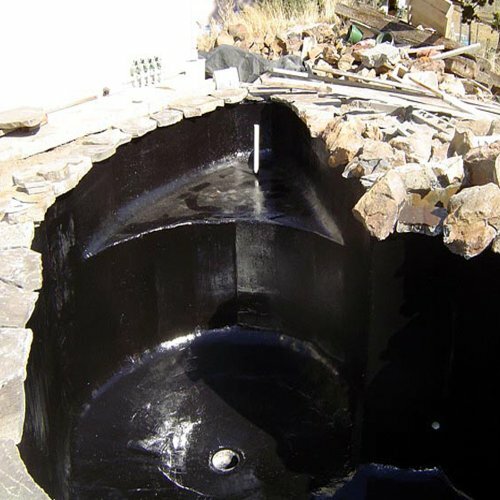 Pond Shield is used for waterproofing structured surfaces found in water features such as Koi ponds, pools, fountains, aquariums, salt water tanks, hydroponics, streams, waterfalls, reflecting pools, mini lakes, holding tanks, etc. Easily applied and easy to maintain, for most applications, a single coat application is all that is needed for proper coverage. 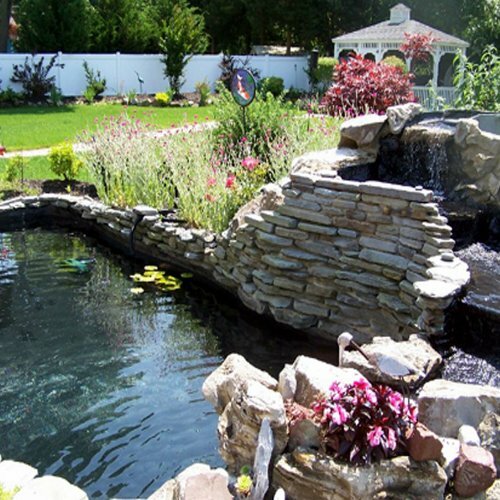 In addition, your pond will be virtually maintenance free with a surface that algae can be easily wiped off of and is safe for fish and plants. Pond Shield offers both strength and flexibility in a coating, strength and flexibility that is tested from -78 Degree F to 140 Degree F. Pond Shield is an epoxy pond liner that has been specifically designed to bond to porous or abraded materials such as concrete, wood, stone, most metals (treated and non-treated), brick, most ridged plastics, tile and many more. With a tensile bond strength stronger than the internal strength of the concrete, your single coat of Pond Shield epoxy will stick to what you apply it to. Over time, hairline cracks can form in concrete, mortar or grout joints. 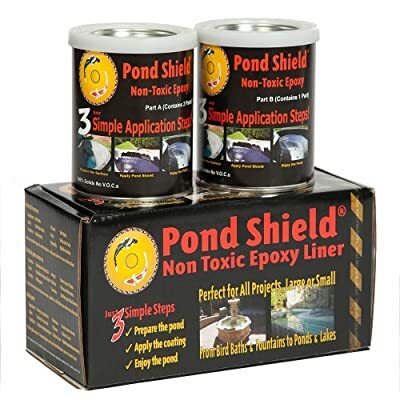 Being flexible, Pond Shield resists mimic cracking and provides the best protection possible in a coating.